Chagas disease is an illness caused by the protozoan parasite Trypanosoma cruzi, which may infect dogs in several ways, including through blood exposure to the feces of “kissing bugs,” the ingestion of infected kissing-bugs, kissing-bug feces or prey (e.g., rodents), or congenitally from a mother to her offspring. Once the parasites enter the cells in a dog’s body (often the heart muscle), they multiply and eventually rupture the infected cells. This is why Chagas disease is commonly associated with heart disease in dogs. 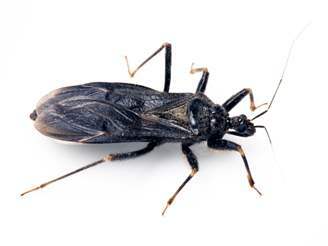 Chagas disease is endemic in South and Central America, but it is also found in the United States, typically in in Texas, Louisiana, Oklahoma, South Carolina, and Virginia. But the disease’s range is expanding as our climate warms. Although Chagas disease can only be acquired through an infection with the T. cruzi parasite, there are a variety of ways a dog may come in contact with the organism. 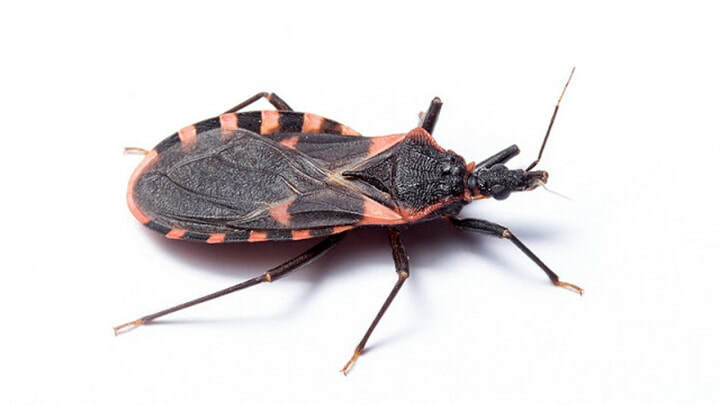 Illness may occur when a vector--a kissing bug (Triatominae)—bites the dog on the skin or on a mucous membrane (such as the lips) and leaves infected feces in the wound. It can also occur when a dog eats an infected prey animal (e.g., rodent) or ingests the feces from a kissing bug. The parasite can also be passed from a mother to her offspring. Two forms of Chagas disease are observed in dogs: acute and chronic. Some dogs experience an extended asymptomatic period between the two forms, which can last for months to years. These symptoms may not be noticed by owners because they often resolve without treatment. These symptoms can also be indicative of DCM (dilated cardiomyopathy). A specialized blood test & microscopic analysis is needed to look for the T. cruzi parasite and can help determine if Chagas disease is the underlying cause of symptoms. ​T. cruzi is commonly spread to humans and other mammals by the blood-sucking "kissing bugs" of the subfamily Triatominae. These insects are known by a number of local names, including: vinchuca in Argentina, Bolivia, Chile and Paraguay, barbeiro (the barber) in Brazil, pito in Colombia, chinche in Central America, and chipo in Venezuela. The disease may also be spread through blood transfusion, organ transplantation, eating food contaminated with the parasites, and by vertical transmission (from a mother to her fetus). Diagnosis of early disease is by finding the parasite in the blood using a microscope. Chronic disease is diagnosed by finding antibodies for T. cruzi in the blood. common examples of 'kissing bugs' found in the American southwest (including CA, AZ, NM, TX, LA, AR, OK, CO, KS, UT, NV).